Hidden in the city of Downey, Calif. is one of the best Thai food restaurants you will ever find. Narai Thai introduces the traditional and authentic flavors of Thailand to the taste palate, and leaves it longing for more. To start, there are lots of delicious appetizers to choose from, ranging from chicken and pork- stuffed, crispy wontons to crispy spring rolls. If you cannot decide what you want to try, there is the NaraiSampler which includes chicken satay skewers, spring rolls, firecrackers (shrimp wontons), and crispywontons. There are also various authentic Thai soups to choose from. The best one is the traditional wontonsoup with wontons, chicken, shrimp, and baby bokchoy in chicken broth served on a unique bowl with a flame in the middle to keep it warm. Entrees are sold a-la-carte, but are perfect for parties to share from. The House Special fried rice is NaraiThai’s specialty with a perfect combination of chicken, beef and shrimp sautéed with jasmine rice, onions, egg and tomatoes with a lime on the side for added flavor. To complement this dish is the cashew nut chicken entree which includes chicken, cashew nuts, onions, and dried chilis drizzled with brown sauce. 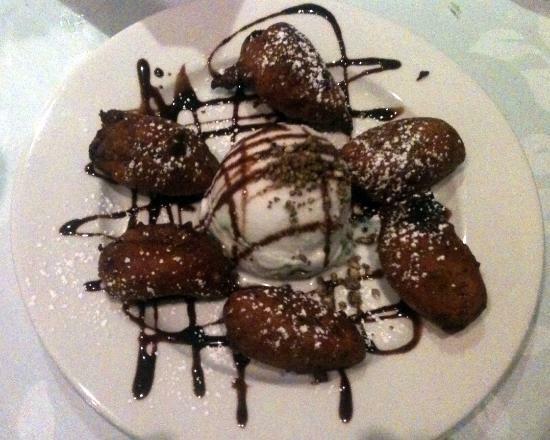 Fried Bananas and ice cream. Narai Thai serves the most authentic desserts, and although there are only four to choose from, all of them are equally as appetizing. The Thai coconut ice cream is served with mixed fruits, and is the perfect light ending to a wonderful, authentic Thai meal. The service is wonderful, and the waiters are very attentive. The flavors of all the dishes complement each other and make up the perfect meal. 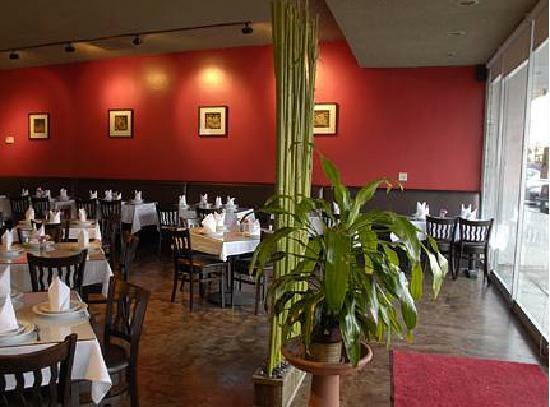 It is really easy to miss this restaurant, but once you find it, you will not want to stop going to Narai Thai to satisfy your Thai food craving.